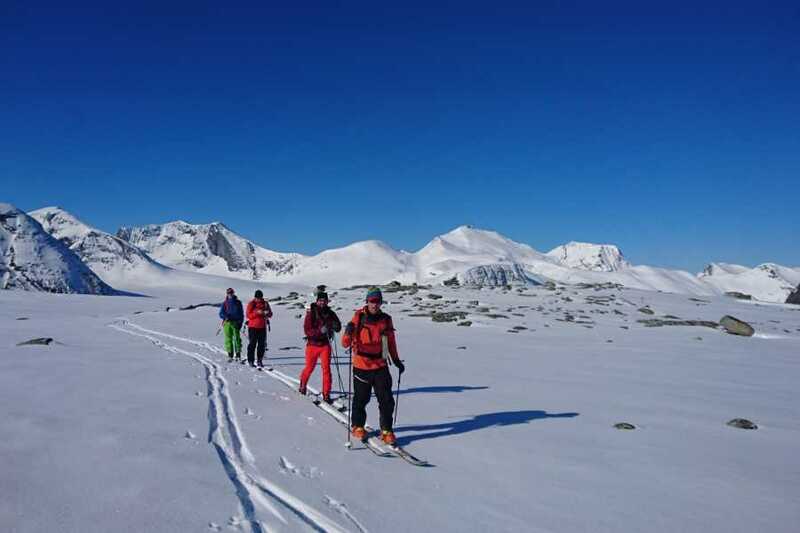 Join us to experience the best, yet least commercialized, alpine ski touring area in Norway. Using local, experienced and certified guides, you explore several unique and varied mountain area. 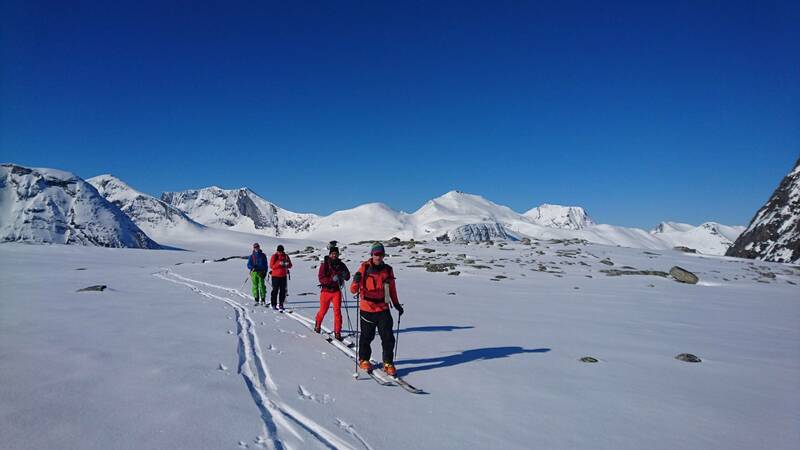 Starting on more mellow inland mountains and moving to the untamed peaks near the fjords, you will explore all Norway has to offer on these 6 days of skiing. Date 2019: February 26th - March 3rd, and on request.  Meet-up in Oppdal. Today's ski tour is in the friendly Oppdal mountains, such as Rokdalskammen. The tour will be about 1000 m. After the day's tour, you will visit a historic farm in the Klevgården area, for fresh waffles and coffee. Accommodation and dinner at Skifer Hotel. Breakfast at Skifer Hotel, before transfer (about 1-hour drive) to Innerdalen. Innerdalen is known as one of Norway's most beautiful mountain valleys. Some of the possible tours for the day include Sandvikhaugen and the tour over Vinnubreen. Magnificant glacial mountain scenery! Accommodation at Camp Dronnigkrona (queen's crown). These are cabins with toilets, but no showers (a small creek for those keen for a bath). We awake at the foot of the mountains, to fresh coffee we can enjoy out on the porch. We set off for our ski tour from the back step. with endless possibilities. Conditions (snow, weather group) suitable tour chosen. After the day's ski, we drive to Phillipshaugen Lodge (ca. 30 min), where we will have time for a shower and afterski, before dinner! Lovely breakfast at Phillipshaugen lodge, followed by a new ski tour in a new, and different, mountain area. Øksendalen has many tours to choose from, we will choose depending on conditions, snow, weather and the group. A popular tour in the area is Fløtatinden, the cream mountain. Short driving time from Phillipshaugen to parking for the day's tour. Accommodation and dinner at Phillipshaugen Lodge. New day, new opportunities - in a new mountain area! After breakfast, we check out of Phillipshuagen lodge, a head out towards Angvika. Exploring a new area on the way, for example, Jordalsgrenda with a tour around Troll Lake (Trollbotn rundt). Accommodation at Angvika hotel, with its own pool and spa. It is about a 30 min drive from Phillipshaugen til Angvika. Tonight is also our last night, and we celebrate with a 5 course dinner at this beautiful place! We enjoy our last good breakfast together before we are ready to explore a new mountain area. Possible tours include Harstadfjellet or Rensfjellet. Both tours are unique, offering a very different ski experience than previous days. A good end to the trip, with a new and very different mountain area. After the trip, we can organize transport to the closest airport (Molde), or back to the starting point, Oppdal, for transfer by train to Trondheim or Oslo.